To celebrate the Silver Jubilee, marking the 25th anniversary of The Wine Society 18% in Malmö, Sweden, we decided to have a special tasting. Unfortunately 1993, when the Society was founded, was a horrible year for Vintage Port and only one producer declared, Quinta da Romaneira’s single quinta Quinta das Liceiras. 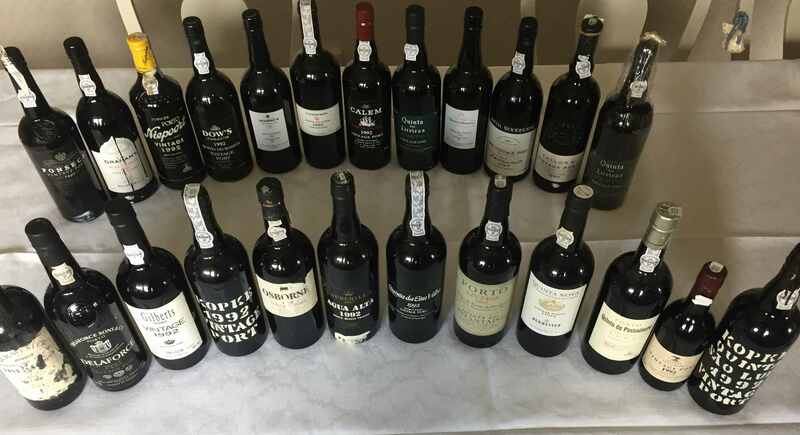 So to get a proper tasting we decided to add all the 1992 Vintage Ports as well. So, it ended up with a proper Jubilee tasting of 24 Vintage Ports in total. On November 8 we conducted the tasting with 16 attending participants. The tasting was held in two flights and it was semi-blind. You can read all about the tasting here. This entry was posted in Tasted Vintage Port and tagged 18%, 1992, 1993, Great Tasting, Quinta das Liceiras on November 28, 2018 by Stefan.